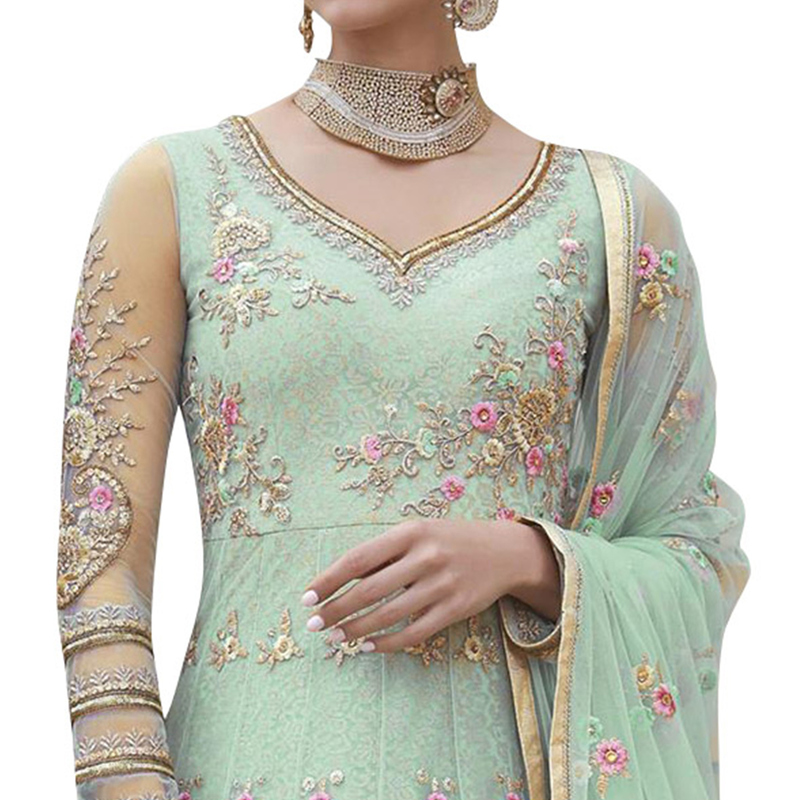 Be the sunshine of everybody’s eyes dressed with this hypnotic mint green floor length anarkali suit. This semi stitched suit featured on net fabric that has been gracefully decorated with zari embroidery work, which gives an outstanding look to the viewer. Teamed with semi stitched santoon bottom and lining along with embroidered netted dupatta. 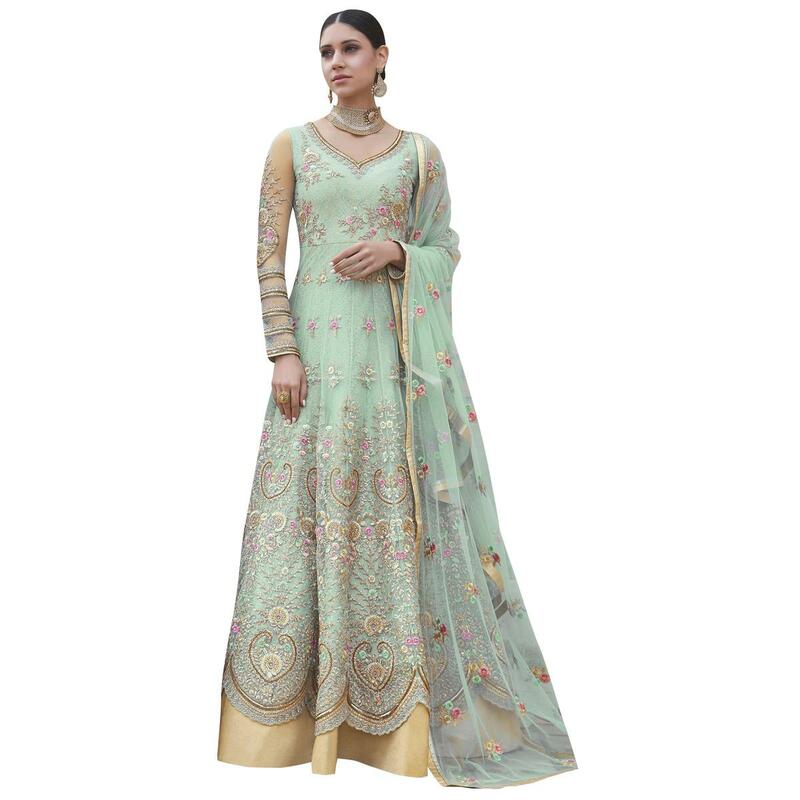 Get this semi stitched suit stitched into lehenga choli also according to your requirement. Specially designed to wear for wedding functions, receptions, engagement ceremony and family occasions, where you want to be center of attraction. Team this suit with classy accessories and high heels for a complete look. Grab this dress before someone else gets it and wear it.